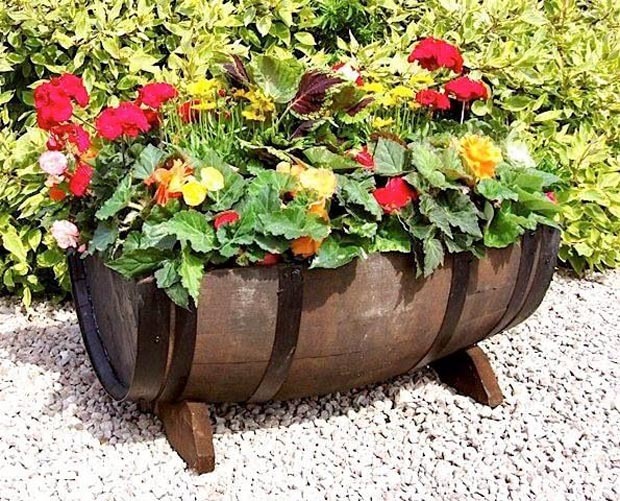 Out of all the garden containers that are popular, the most classic and widely used just might be the venerable whisky or wine barrel. 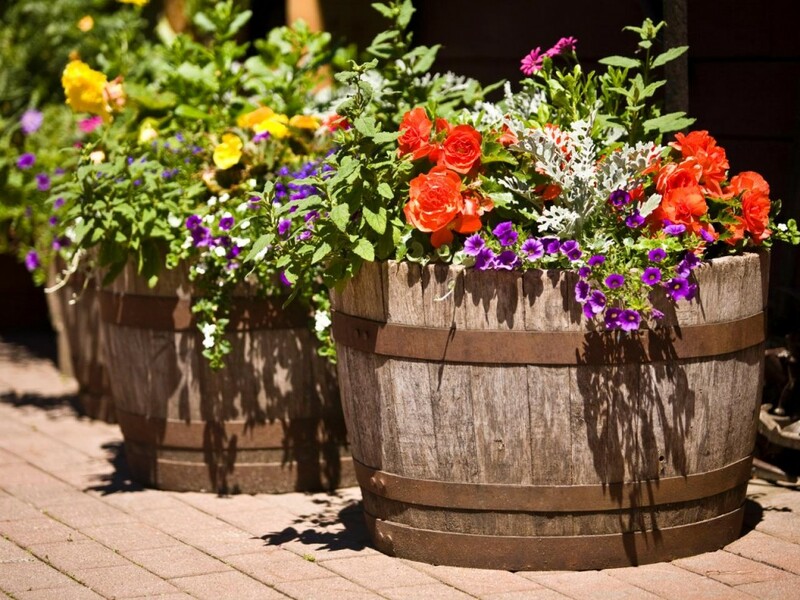 With absolutely timeless looks and their robust construction, these barrels make for a perfect planter in almost any garden setting. 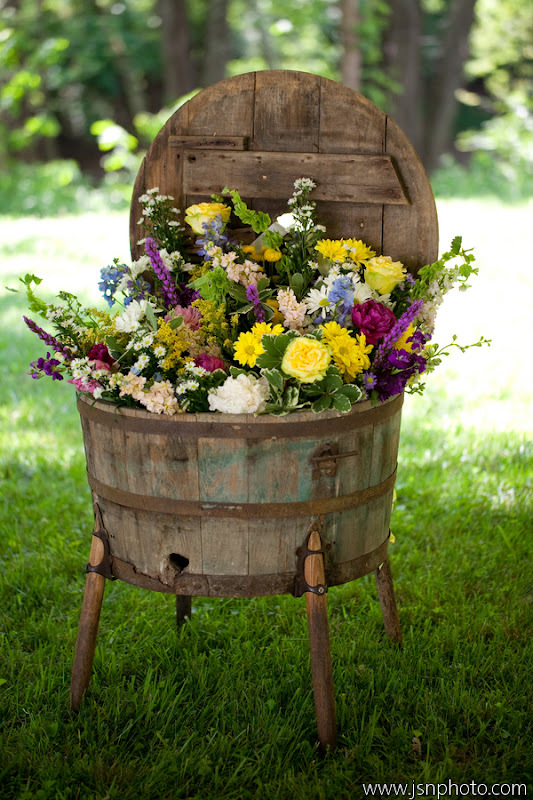 Timeworn barrels can be found nearly anywhere, including your local gardening and home supply stores or sourced from friends and neighbors who may be willing to part with ones they don’t need. The shape and look is uniform: ie. rustic wood, aged metal bindings, and a classic bulging silhouette. 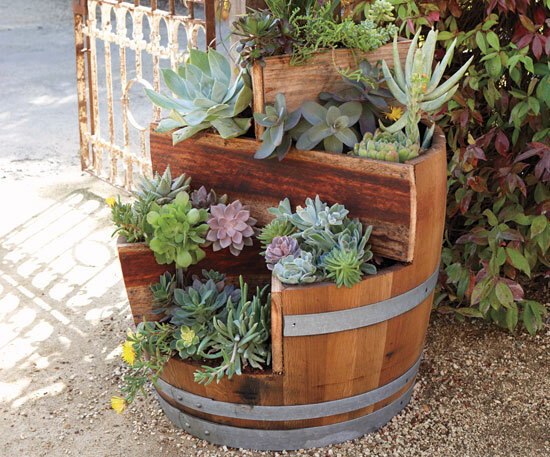 So this shape makes barrels the perfect ready-made planter. 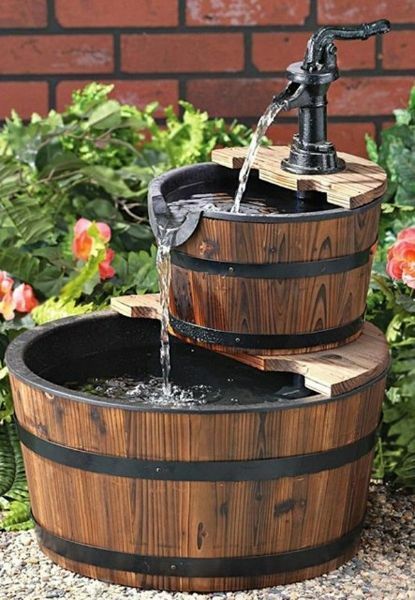 The universal look and timeless appeal makes them one of the most versatile pieces of garden equipment you can own. 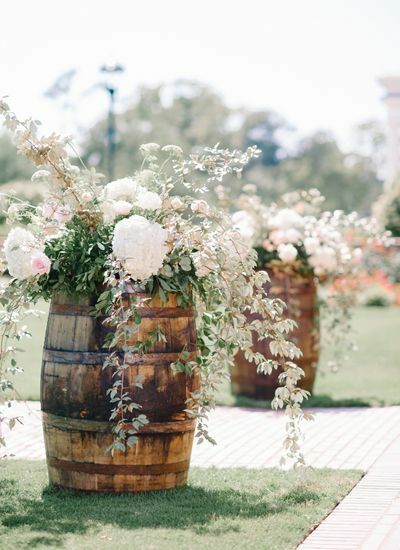 With this list, we’re taking a closer look at the myriad of methods and styles that can be used for you to add the handcrafted beauty of these barrels in your garden. We hope you feel as inspired, as we do, with these fantastic projects! 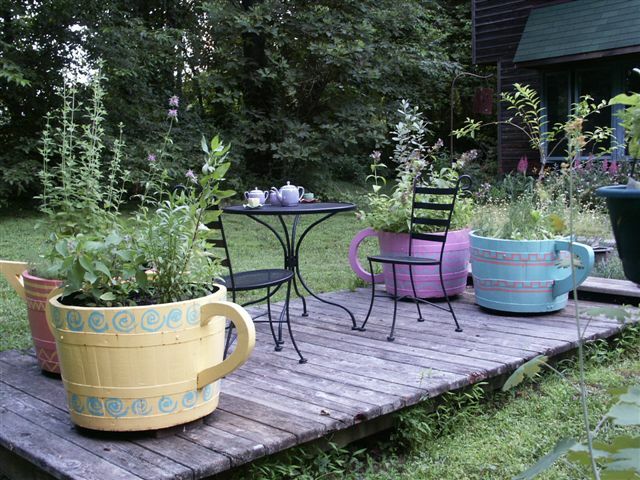 This fantastical idea combines the utility of barrel planting with the whimsy of a tea party! Adding paint and a hand-carved wooden handle will net you a beautiful set of oversized “teacups” for the garden. 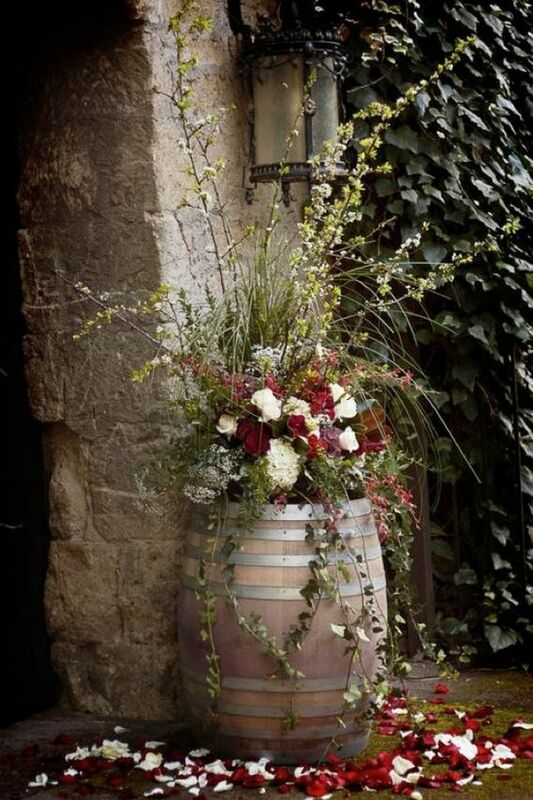 We present the classic barrel planter, using a standard half barrel filled with soil and flowers a-plenty. This simple and elegant planter solution adds a rustic charm to any space. This project involves one major but simple bit of work: slicing the barrel itself in half. Once you’ve done this, you’ll have a pair of equally viable large planters ready for your garden. 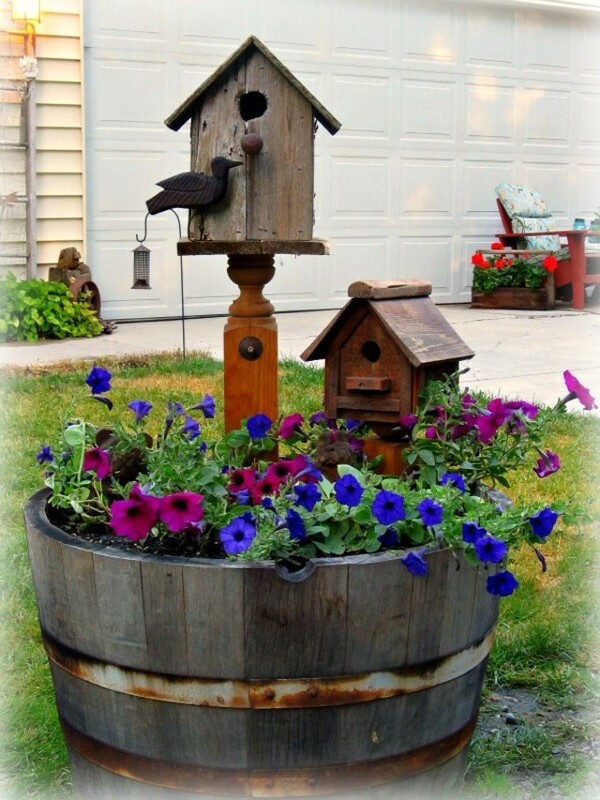 This charming project combines the utility and visual appeal of a standard barrel planter with the added surprise and beauty of built-in birdhouses. 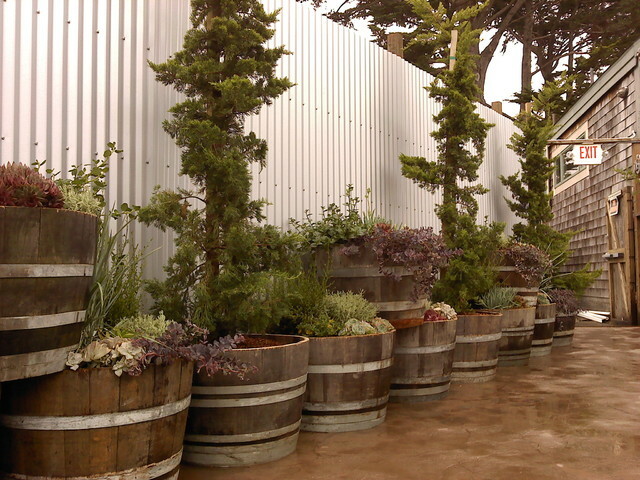 This project shows an entire array of vegetable (and some flower) planters crafted from wine barrels. 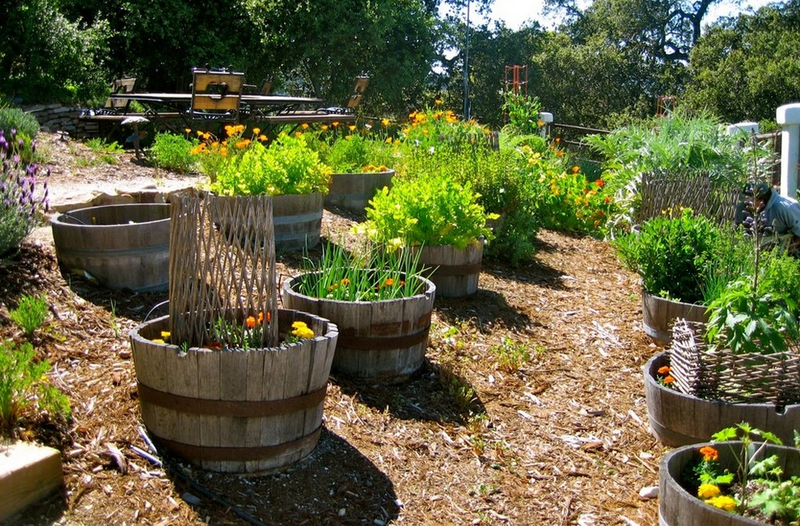 This makes for a neatly organized garden, while allowing for an amazing variety of plant life. This ingenious project involves one major but simple bit of work: slicing the barrel itself in half. Once you’ve done this, you’ll have a pair of equally viable large planters ready for your garden. While many of the planters on this list involve placing the barrel directly on the ground, this unique project adds a set of bespoke legs to the bottom, while re-using the original barrel end as a “flip-top” lid. 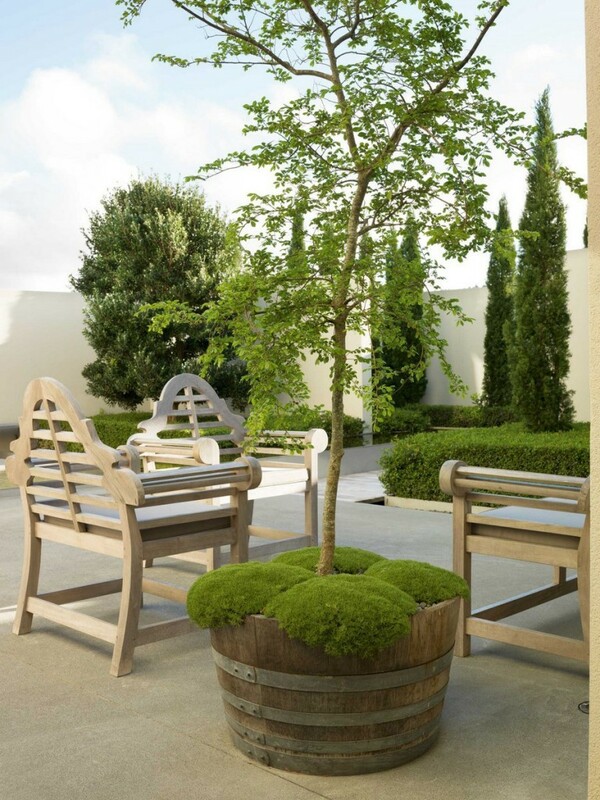 The careful use of pristine green moss can add a layered, opaque look to your new barrel planter. Pictured here with a singular tree erupting from the soil, this moss covered project appears lush over a concrete patio. Here’s the most whimsical, elaborate project we found. 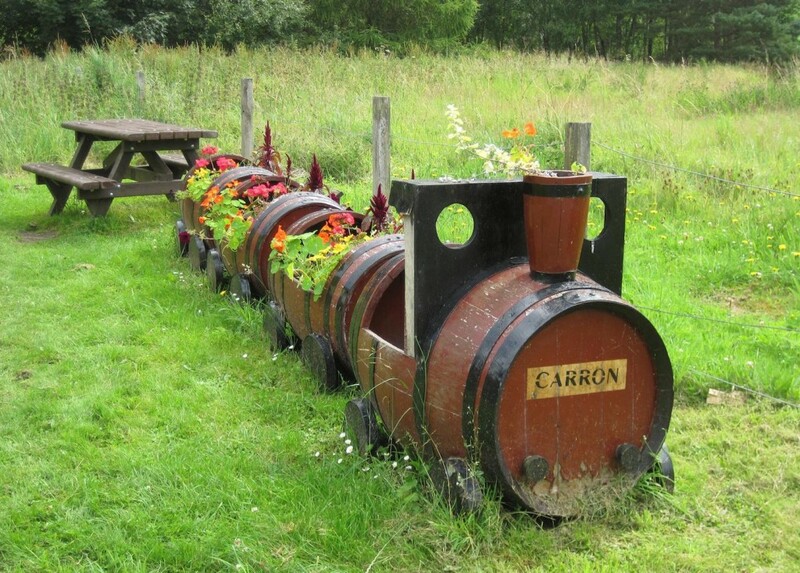 Using multiple barrels, some manual labor, and a lot of patience and creativity, you can craft this fantastical barrel planter train, complete with multiple “cars” full of lush greenery. 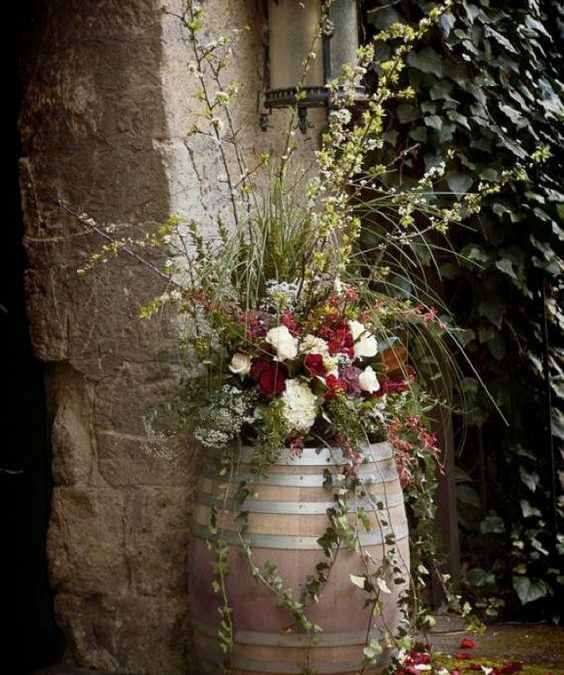 This idea combines a couple existing barrel planter ideas, basically combining to create a beautiful “wall” of greenery, sprouting from the rustic looking containers. With firs, succulents, and other plants, the variety achieved can be astounding. 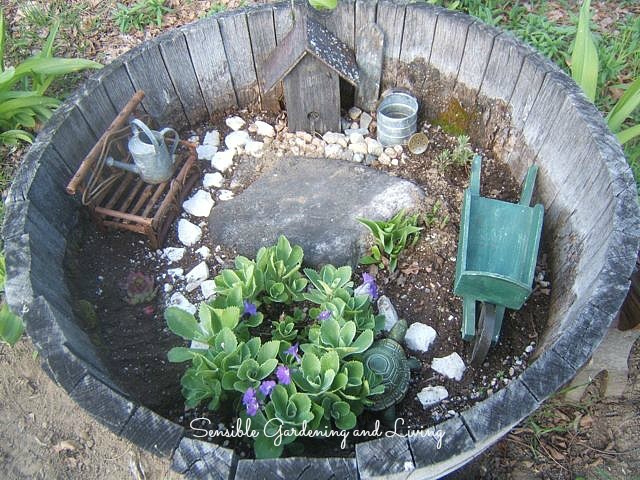 This novel idea combines one of our favorite garden projects, fairy gardens, with the utility and fun of barrel planting. Once you’ve got the materials, the look and layout of the fairy garden is up to your imagination!